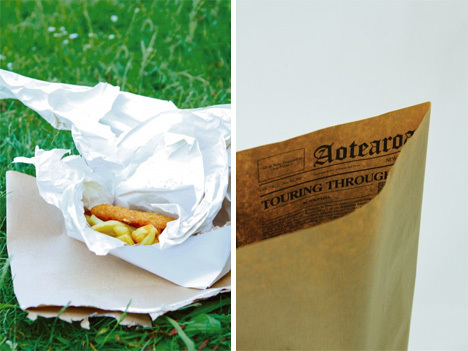 This clever packaging design from Casey Ng takes the traditional New Zealand meal of fish and chips and puts it into a creative new home. 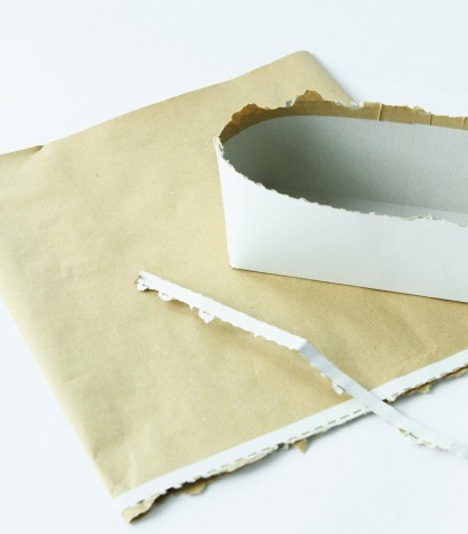 The BoxBag plays off of the meal’s customary packaging (plain newsprint holding the food, then a layer of newspaper outside of that) but gives it a bit more structure. The two-layered approach to wrapping greasy fish and chips works well because the paper soaks up excess grease while protecting fingers from the heat. 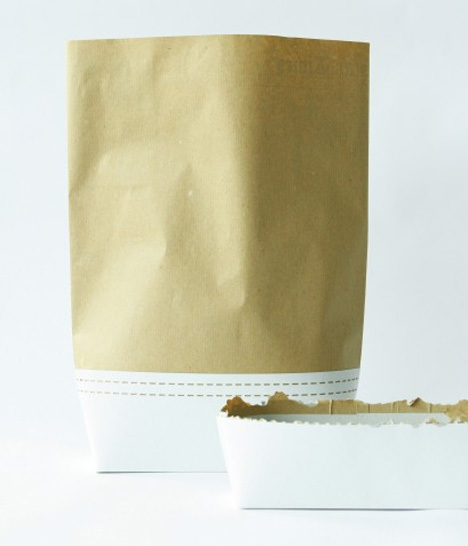 The BoxBag concept keeps the plain newsprint interior layer but puts the parcel of food inside a bag with a removable cardboard carton bottom. Diners just rip at the perforation and the bag part comes off, leaving them with a sturdy disposable dish for their meal. As an added bonus, the removable bag portion of the package is printed on the inside with interesting information about New Zealand. Visitors and residents alike can learn something new about kiwi culture while chomping away on one of the tastiest culinary treats New Zealand has to offer. See more in Industrial Design or under Technology. December, 2011.